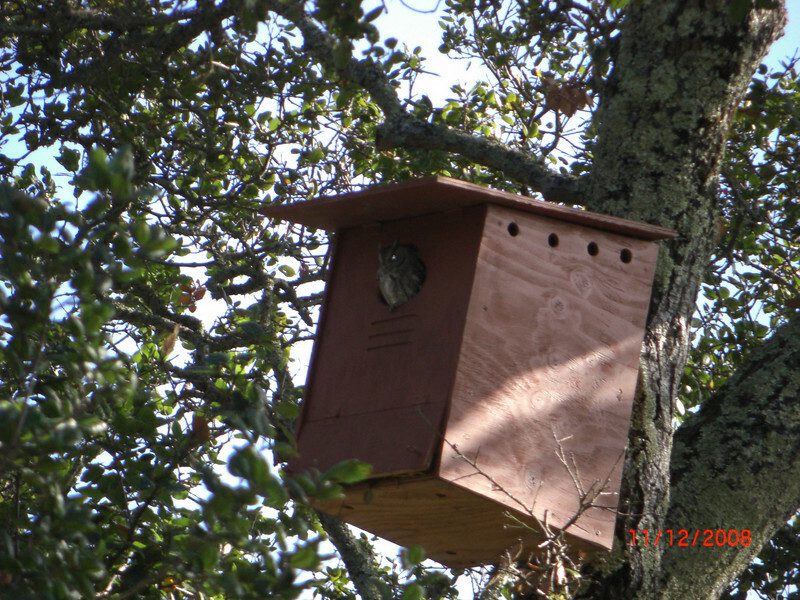 A smaller Screech Owl takes up residence in a Barn Owl box. Both owl species eat rodents and insects. 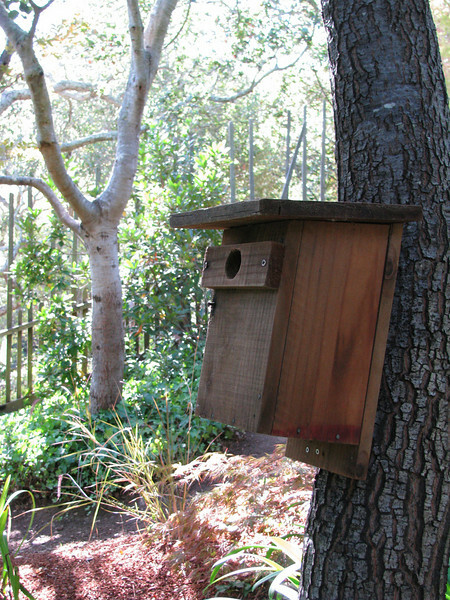 A bluebird box...they eat insects and mosquitos. 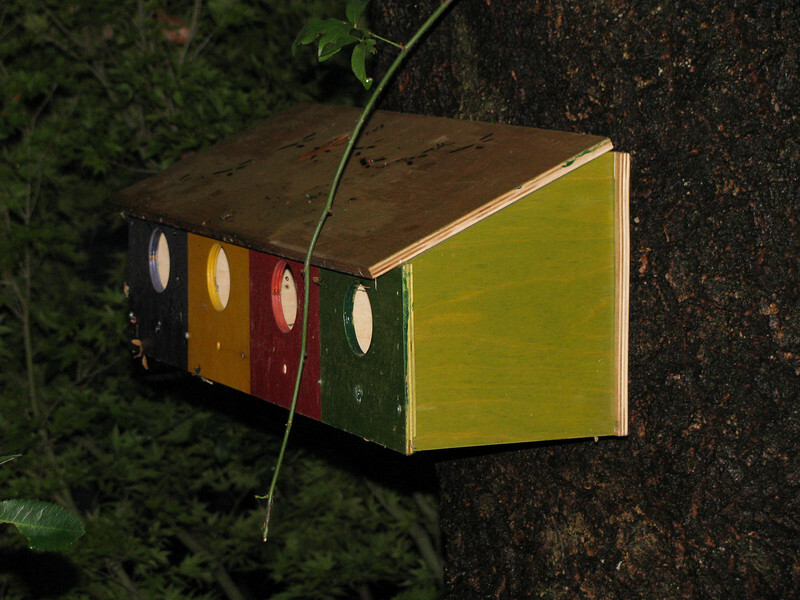 A bluebird hotel...the birds eat insects and mosquitos. 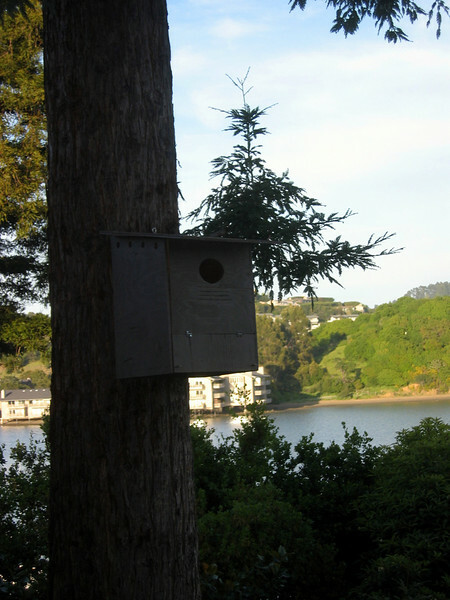 A barn owl box up in a pine tree. A barn owl family eats thousands of rodents in a year. 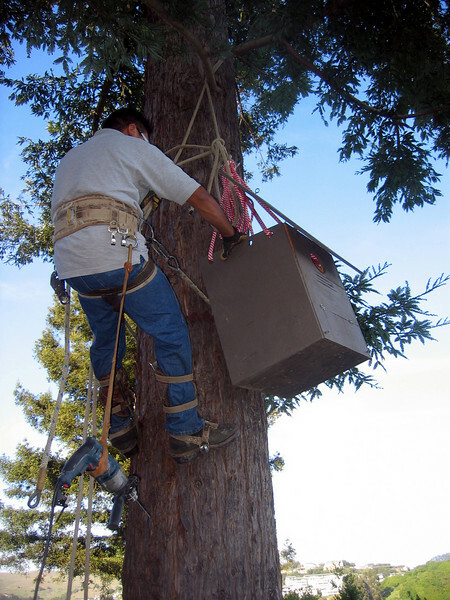 Putting a barn owl box up in a redwood tree at a vineyard. 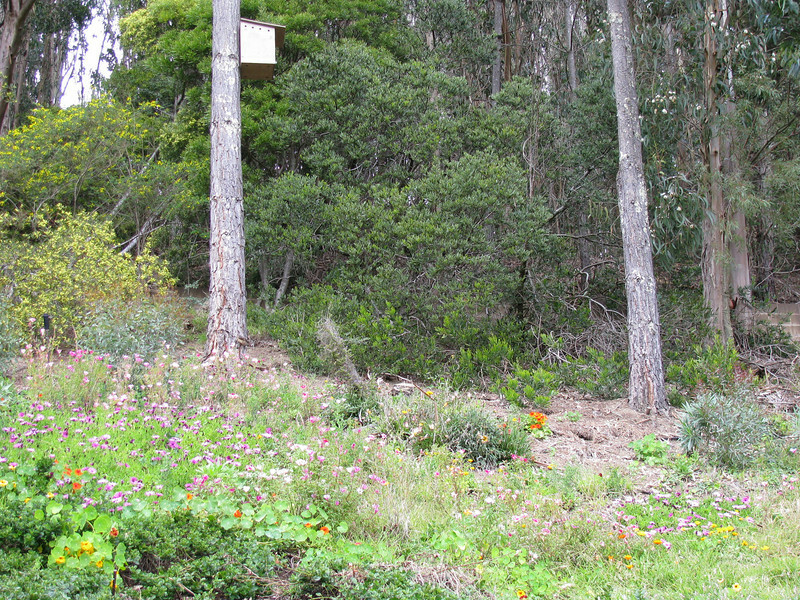 A new barn owl box up in a redwood tree. 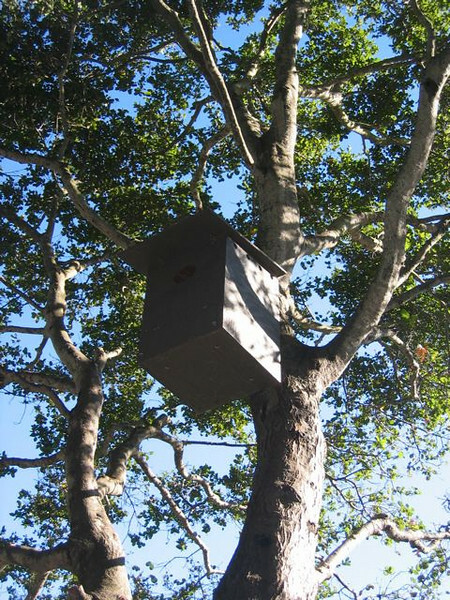 A barn owl box up in a coast live oak tree. 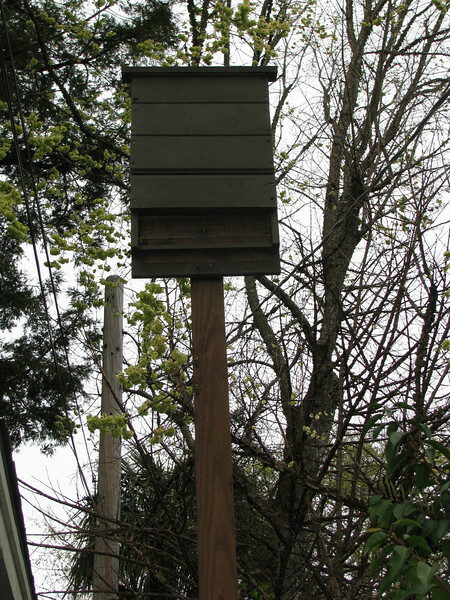 A new bat box in a residential side yard. Bats voraciously eat mosquitos and other insects. 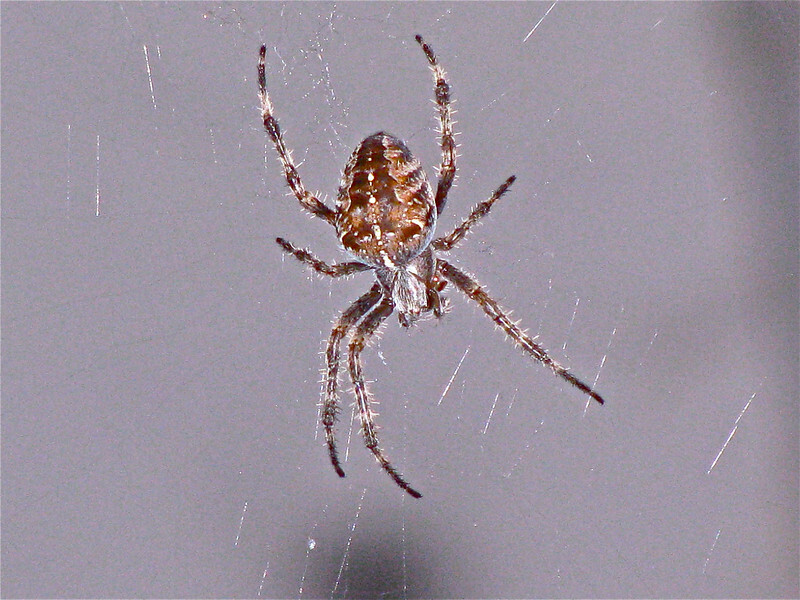 The vast majority of spiders are harmless. 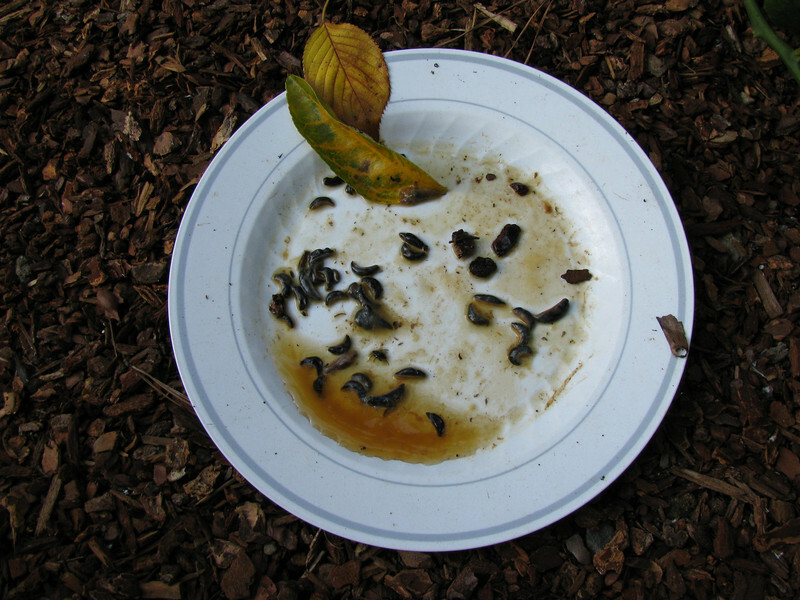 Beneficial in our gardens and vineyards, they feed on and control pest insects.